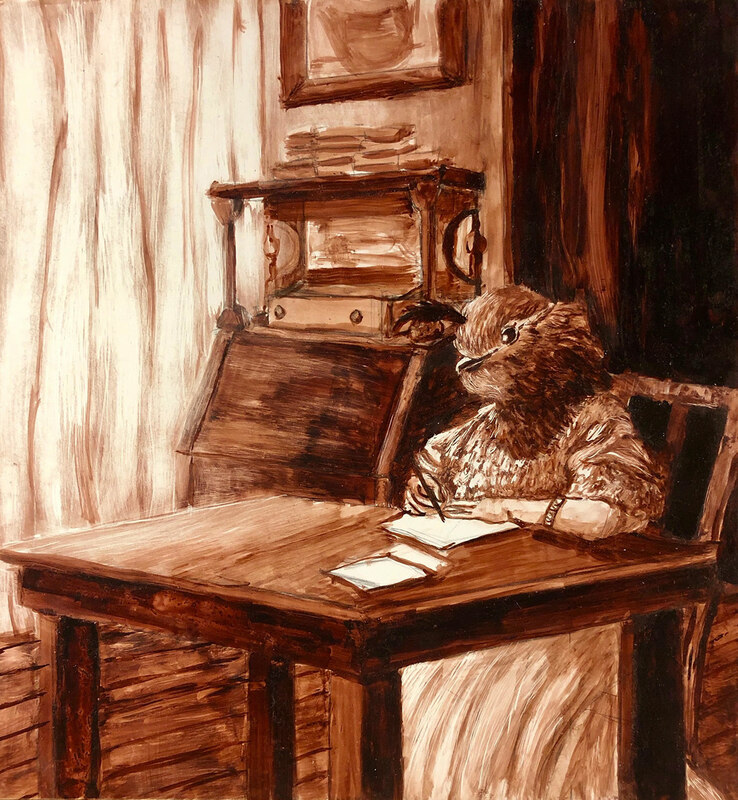 Lady Quail is a gentle lady, and spends a splendid amount of time writing letters to her friends. Inspired by Victorian Aesthetics and given the prompt to create an Antropomorphic character, I created this piece. I really enjoyed making this! This piece was created with brown ink on clayboard, and the textures were created with scratchboard tools and steel wool.